Sports drafts gave the inital idea for the Lambcast draft shows, and now we’re holding a Lambcast draft of sports movies. Full circle, baby! LAMBCAST #457: DEBATE – WHAT’S THE BEST CHRISTMAS MOVIE? You may have noticed on the LAMB site recently we’ve been trying to determine what is definitively the best Christmas movie, and the topic seems to have spilled over onto the Lambcast as well. It’s been a while since we’ve done a draft show, but it’s been even longer since the 1960s! Richard and Jay were joined by Nick, Todd and Audrey to compete to build the best team of movies released in the 1960s. Sci-fi, westerns, horror, musicals, pretty much every genre was tackled in a very fun show! Listen first, then vote for your favourite team in the poll at the bottom of the page. Romance! Addiction! Swimming! These films truly have everything, and we’re here to talk about it. Jay’s ambivalence left Richard in the hosting seat to discuss the latest version of A Star is Born, along with the three (or four) previous iterations of the story. Some are great, others feature Gary Busey. 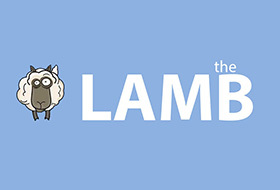 LAMBCAST #445: WHATCHA BEEN WATCHIN LATELY? Honestly, I’m gone for a couple of shows and the show’s structure gets thrown right out the window. What do you do when you host a podcast, but there are no big movie releases and no obvious tie-ins to current events? It’s simple, you do a show on pretty much anything, and we call them Bring A Discussion Topics. I hope you’re ready for a very animated discussion! It’s draft time once again and, following on from last year’s Disney Animation Draft, this time we’re heading towards a more modern direction by drafting movies released since 1995, otherwise known as the Year Animation Changed Forever, when a little story about some toys was released, I just can’t seem to remember it’s name right now. Morons! Donuts! The Litmus Configuration! It’s time for Midnight Run! For the latest movie of the month Jay was joined by Todd, Richard, Sean and Will to discuss an ultimate so-called guys’ movie, Midnight Run! Also on tap: Rants and Raves of the Week, a new game, and a near-constant barrage of incredulity at people who haven’t seen classic movies or TV shows. The latest Movie of the Month has been decided upon! Our Spielberg coverage concludes this week with a very well-timed movie of the month win for the Indiana Jones franchise, a collection of four films varying from some of the greatest ever made to at least one we’d have preferred not to discuss, but dammit we did anyway. Today, Todd Liebenow from Forgotten Films is here to look at the nominees for Best Original Song. The hiiiiiiiiiiiiiiiills are aliiiiive with the soooooound of podcasts!